Master Sanjiv is a foremost figure in Yoga Therapy in Thailand. He received his Masters Degree in Applied Yogic Science from the Bihar Yoga Bharati, the first yoga university in India in 2004. His studies focused on the understanding of modern medicine as well as mastering the application of yogic science, making him capable of giving correct medical diagnosis to patients but also applying noninvasive yogic healing methods. 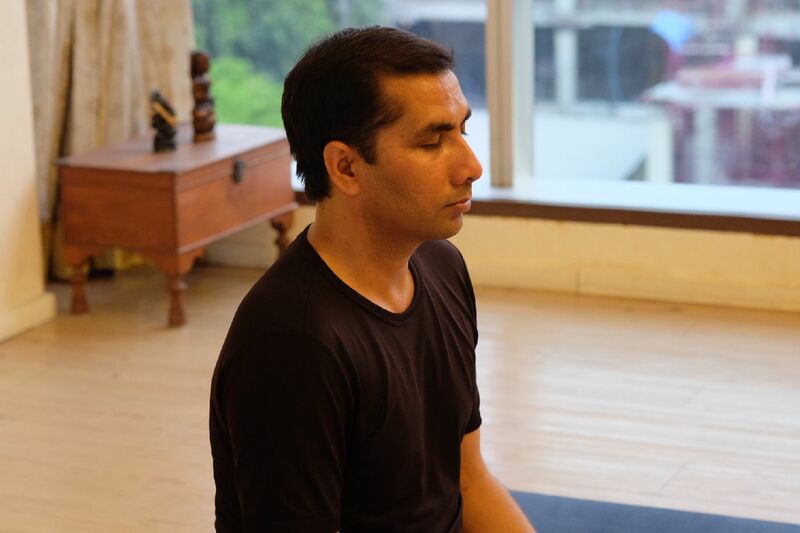 Since his appointment as a Director of Yoga at Divine, he has helped numerous people of all ages to recover from a myriad of injuries, diseases, post surgical rehabilitation, difficult pregnancies and depression through the power of yoga. Often, people who have either exhausted medical options or seeking an alternative to surgery come to consult Master Sanjiv for assistance. His approach to diagnosis is analytical and consults the patient’s medical record when available. Depending on the case, a series of private lessons with Master Sanjiv may be initially recommended so that he can work on their specific needs. In many cases, students make rapid progress and are able to join a beginner level scheduled yoga classes in no time. It is Master Sanjiv’s passion to teach and empower as many students as possible. Read students’ testimonials of how yoga helped them to recover (See Success Testimonials).